Rebel Salute 2017 is here! 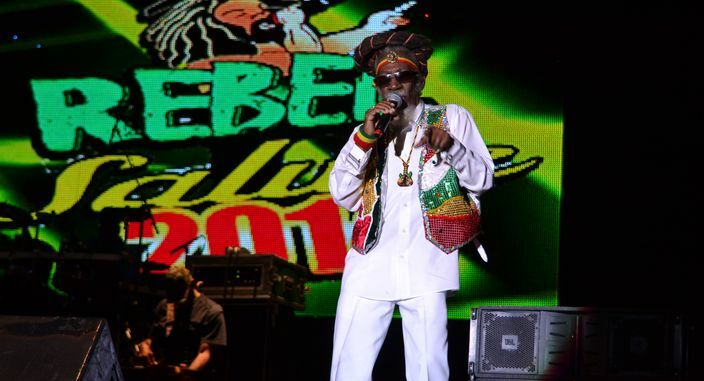 Rebel Salute is a staple on Jamaica’s live music events calendar. The two day reggae music festival has grown bigger and better since it’s inception in 1994. The festival will be held January 13-14, 2017 at Plantation Cove in St Ann. Reggae music lovers are in for a treat with the impressive lineup that Rebel Salute has to offer. From industry veterans like Half Pint, Derrick Morgan and Cocoa Tea to Roots Reggae favourites Tarrus Riley, I -Wayne and Warrior King. One act to watch will be Sister Marion Hall who recently embraced christianity. Ms. Hall, formerly known as the Dancehall Diva, Lady Saw will undoubtedly be blessing the audience with her new catalogue of music and it will be interesting to see how the audience will receive her. Tony Rebel the man behind the event will also be performing. Rebel Salute started as his birthday celebration and it grew into the well respected reggae show that it has become. Getting to the event has never been easier. The completion of the North South Highway has made the event even more accessible with travel time from Kingston about 90 minutes. It takes around the same time to get to the venue from Montego Bay and a mere 20 minutes from Ocho Rios . Knutsford Express offers a bus service to the event. Check their website or call their offices for more information. Even ,If you can’t make it this weekend try to make time to get outdoors and create new experience something new , no matter where in the world you are. Have a fantastic weekend!